Why Do Certain Dog Breeds Suffer from Back Problems? Did you know certain dog breeds are predisposed to back problems, like intervertebral disc disease, at much higher rates than others? Unfortunately, a combination of genetics, body shape, and daily activities contribute to this doggy dilemma. Is there anything we as pet owners can do to treat the problem? To answer this, we must first understand what contributes to disc disease. What breeds are most affected and why? This is probably due in part to their genetics. Unfortunately, the sequence of genes in these breeds appears to predispose them to back problems at some point during their lives. Another factor involves the length of your pet’s back. Unfortunately, a long back isn’t the best design for spine stability. Think about it like a bridge—when you are traveling over a small river, does a bridge need a ton of support in the middle? Probably not. Now, imagine traveling over a bridge multiple miles long. I bet you see support columns every couple hundred feet to help dissipate the stress over the middle of the bridge. If it didn’t, the bridge would succumb to the stress and collapse. This stress is what long-backed dogs experience in their spine and discs. A final issue involves smaller breeds. The little ones tend to enjoy jumping up and down from furniture. Unfortunately, jumping can be stressful because it leads to a compressive load on their discs. Dog discs aren’t designed for a compressive force like a human disc because they don’t walk upright. Imagine for a second that a dog disc works like an Oreo. The cookie part of an Oreo represents the bones of the spine and the cream filling signifies the vertebral disc. Dog discs are designed to resist shear forces. This force is similar to what happens when you twist the cookie top off of an Oreo. When it is done this way, the icing usually remains in the middle and is stable. Now, what happens if you squeeze the cookies together? The icing squirts out! This is how a compressive load works and can lead to back problems for dogs over time. There are multiple options depending on the severity of symptoms. When it comes to a structural solution, surgery and chiropractic are effective treatments. 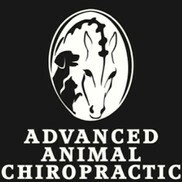 Chiropractic is a great conservative route because an animal-certified practitioner can guide misaligned spinal bones back toward a normal position. When the spine is in a more normal position, inflammation and stress is reduced on the vertebral disc and nerves. This will relieve any secondary problems like back pain and even paralysis. If a course of conservative care doesn’t work, a veterinarian may recommend surgery. A surgeon will be able to work on the disc and ideally relieve pressure on aggravated nerves. Many dogs will experience back issues during their lifetime. If they are a breed listed in this post, it is probably the rule rather than the exception. Vertebral disc disease can be scary for our furry friends. Fortunately, there are structural treatment options for our pets like animal chiropractic! If you want to learn more about how chiropractic care can help your pet, call us at 248-548-3448 and consider scheduling an appointment.